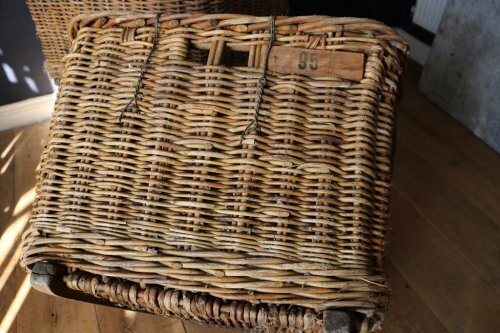 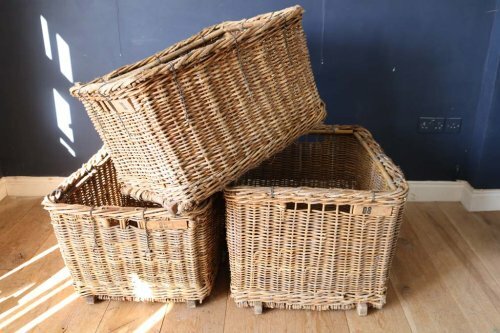 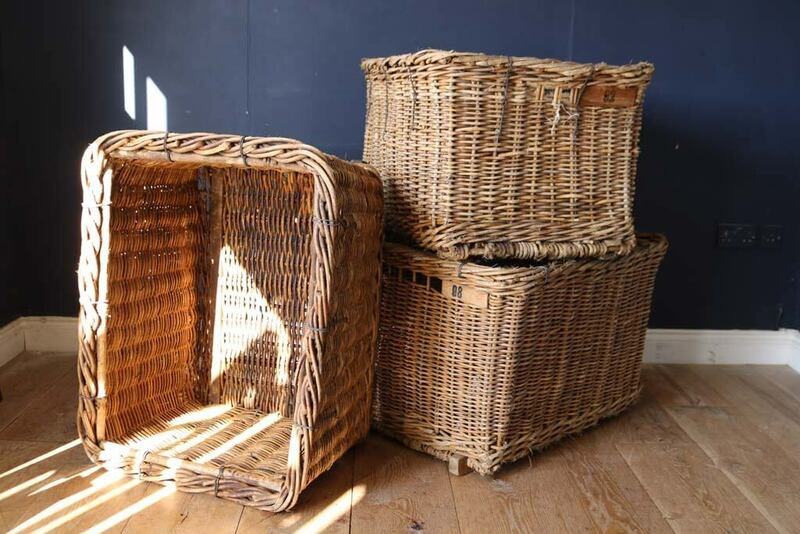 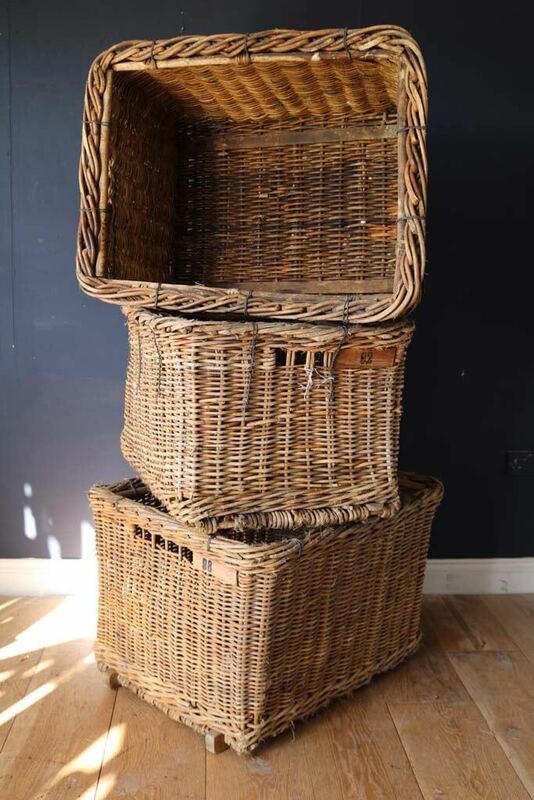 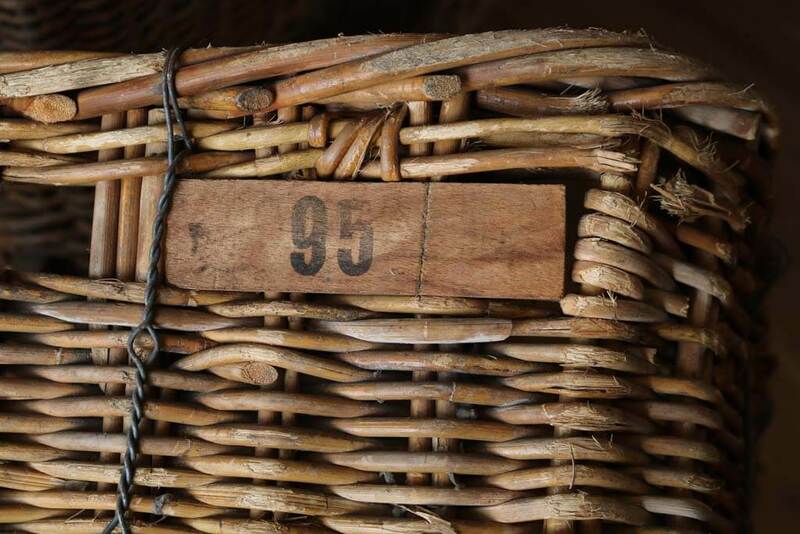 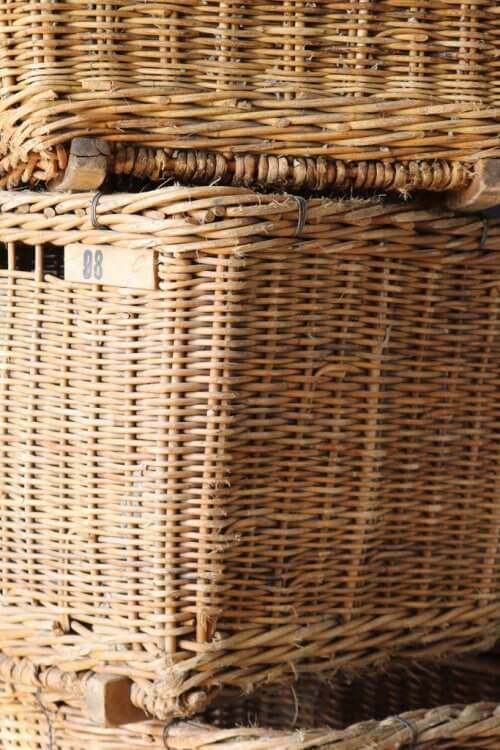 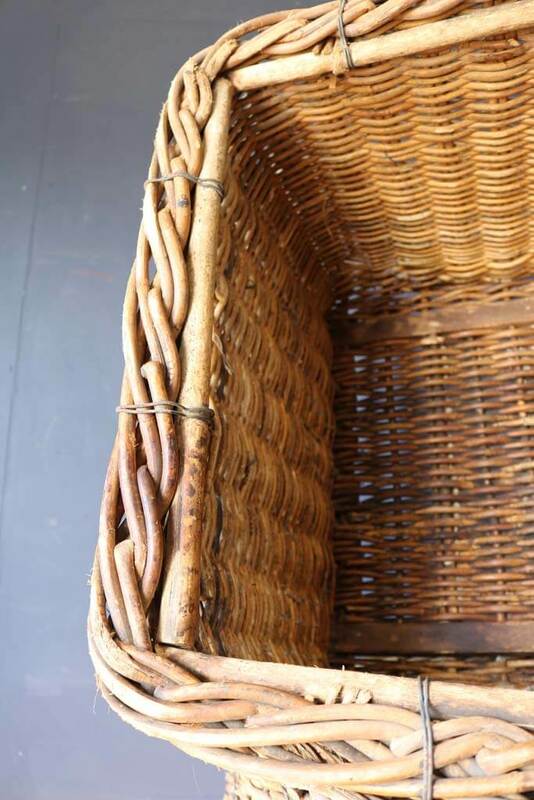 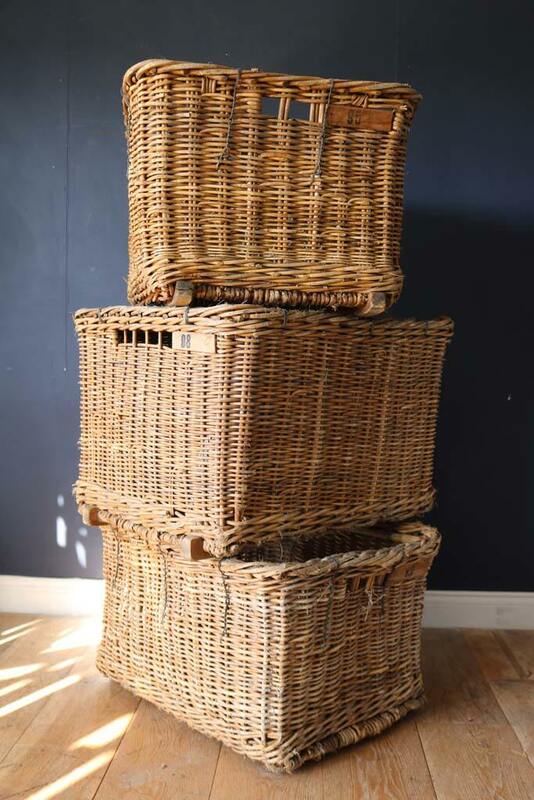 Three large wicker Cotton Mill Baskets. 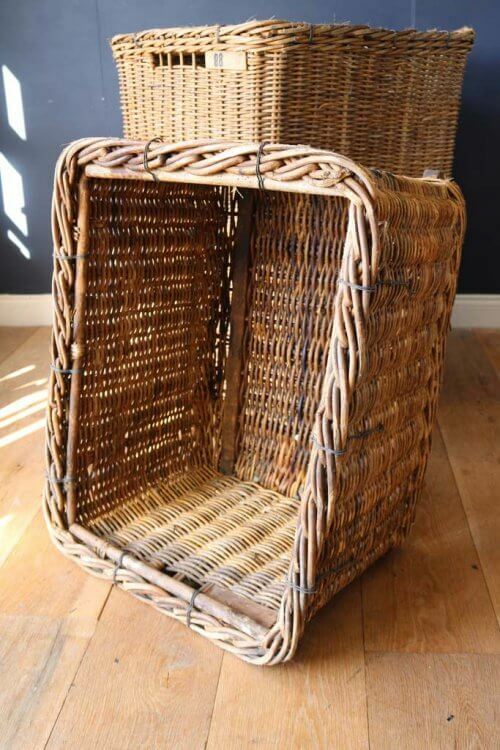 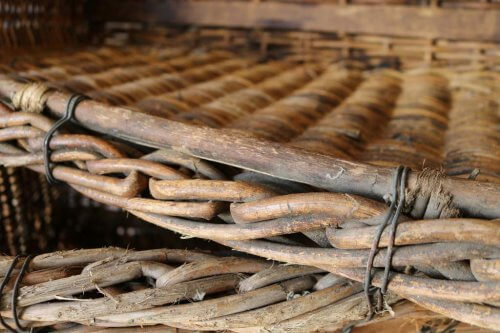 Three early 20th century mill baskets from a cotton mill up North, all three in very good order ideal as log baskets. been sold separately at £125.00 each.